When you walk into the Radisson Hotel Harrisburg’s inviting lobby, you’ll be greeted with a bright spacious area, dressed in contemporary décor and set off with splashes of vibrant colors. 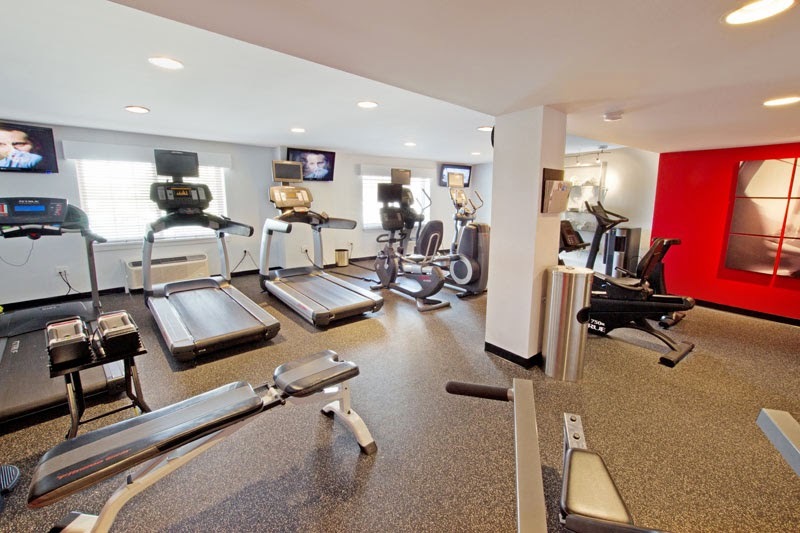 The hotel features newly renovated modern rooms, business and fitness centers, free Wi-Fi, an onsite restaurant and lounge that is incorporating more farm-to-table options, seasonal outdoor pool and patio, and close proximity to Harrisburg. With the Radisson’s 100% guest satisfaction ‘yes I can’ training, you’ll be sure to have a pleasant experience. Radisson Hotel Harrisburg is located in Camp Hill, but at only two miles from the state Capitol and downtown Harrisburg and four miles from the PA Farm Show Complex, it is much closer than most hotels located in Harrisburg. Take advantage of the hotel’s shuttle when you are traveling within 5 miles. In 2014, 180 of the 250 rooms were renovated and all rooms will be redone by the end of 2015. 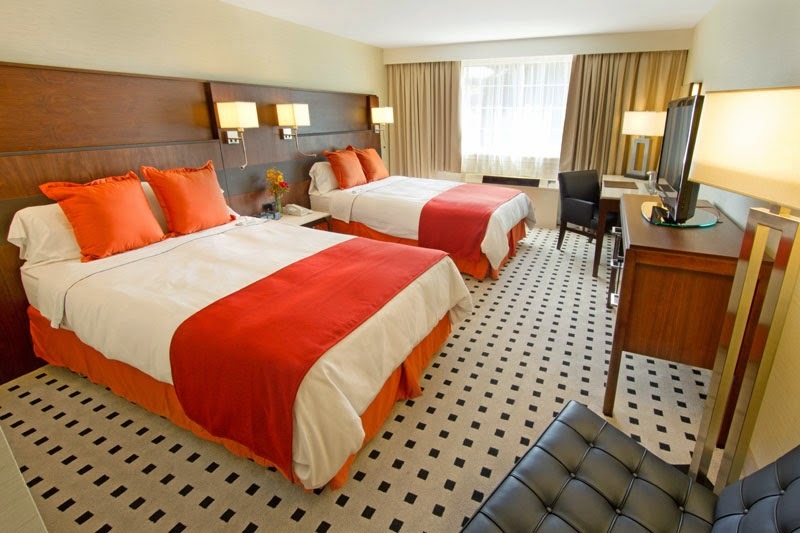 The rooms are outfitted in urban décor with pops of orange and local photography. 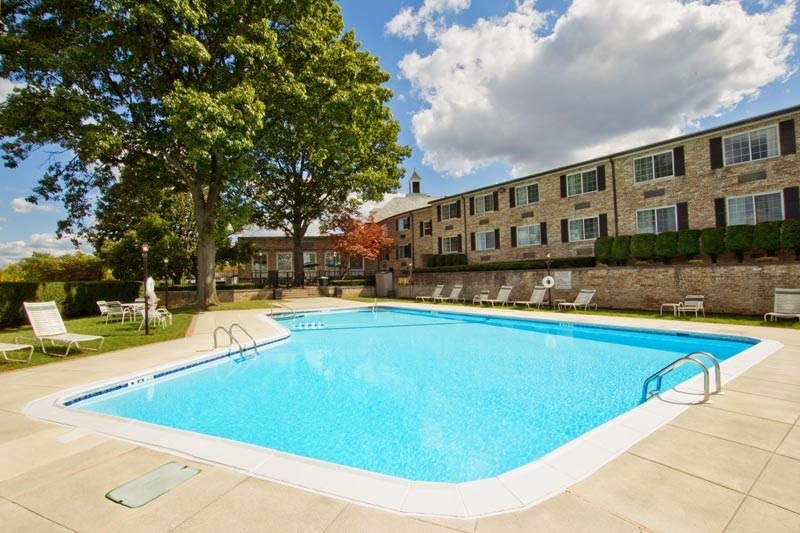 You’ll find all of the modern amenities, including complimentary Wi-Fi, large flat screen TV’s, iPhone ports, plenty of electrical outlets, work desk and chair, comfortable bedding and more. The hotel sits on 16 acres of land, which is great for picnics and outdoor sports such as basketball, volleyball, and horseshoes. Host your next large event in the Radisson Hotel Harrisburg’s Grand Ballroom. It is Central Pennsylvania’s largest oval 15,000 square foot column-free ballroom and with one floor you’ll find it’s easy to get in and out. Corporate businesses can put a twist on team building – boat wars in the pool, scavenger hunts and Segway tours on grounds. The staff’s job is to make meeting planners shine. You can look forward to working with a team that is detailed and dedicated to making it as easy as possible for the planner. By the end of 2016, the Radisson will be finished with a top to bottom ballroom renovation. It’s close proximity to the state capital, five meeting spaces that are newly renovated, on-site restaurant and lounge, 24-hour business center and newly renovated rooms geared toward business travelers, make it the perfect spot for your next stay. Radisson Hotel Harrisburg hosts an annual Easter Brunch and Mother’s Day brunch. Check their website for great hotel deals, like a HersheyPark package.